Suspect struck victims in the face in three separate incidents last week. In New York City, police are searching for a suspect wanted in connection with at least three assaults targeting Asian women. In each attack, a man approached the victims and struck them in the head. The suspect attacked at least three women last week -- two on Wednesday and one on Friday -- in Manhattan. In each of the incidents, the man approached his victims, struck them in the face with "a plastic bag containing a hard object, and ran off. All of the victims have been Asian women, ages 29 to 25. All three victims were taken to nearby hospitals and treated for their injuries. 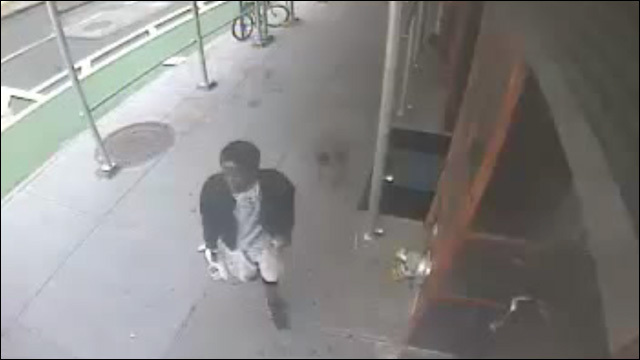 On Wednesday, a 35-year-old Asian woman was sitting at 155 Grand St. in Little Italy when a when the suspect tried to strike up a conversation with her at 4:15 p.m. The victim ignored him, and the suspect later returned with a white plastic bag with a hard object in it. The suspect then struck the victim in the cheek with it and fled the scene. Later that day, a 29-year-old Asian woman was walking on Park Avenue around 30th Street in Midtown South at 8:21 p.m. when the suspect walked past her and waited around the corner for her to approach. The suspect then struck her with the plastic bag containing a hard object. The third victim, a 34-year-old Asian woman, was walking on 2nd Avenue and 60th Street in Midtown East on Friday at 12:25 a.m. when the suspect walked up to her and hit her across the forehead with the hard object inside a white plastic bag. Anyone with information in regards to any of these incidents is asked to call the NYPD's Crime Stoppers at 800-577-TIPS. The public can also submit their tips by logging onto the Crime Stoppers website or texting their tips to 274637 (CRIMES) then enter TIP577.